BOLPA-10 A Super Wide Band, High Performance Log Periodic Dipole Array (LPDA) - 14MHz to 30MHz Optimised for all Ham Bands Just 7.7m long! 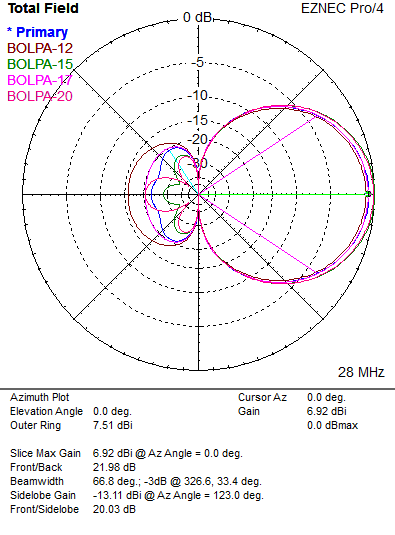 All InnovAntennas LPDA’s are design using the very latest computer optimisation techniques and are largely designed and built to order although examples such as this Band Optimised Log Periodic Dipole Array (BOLPA) which has had its performance highly optimised wihtin the ham bands in order performance is not characteristic of a typical LPDA. The BOLPA-10 has 10 elements placed within a twin-boom/dual feedline boom setup where 2 x 1.75'' square boomd double as the feedlines and booms. The feed point is 50Ohm so a simple choke balun can be installed between coax cable and the antenna for an easy installation. OUTSTANDING RESULTS FROM THIS STUNNING NEW DESIGN for 2017!! 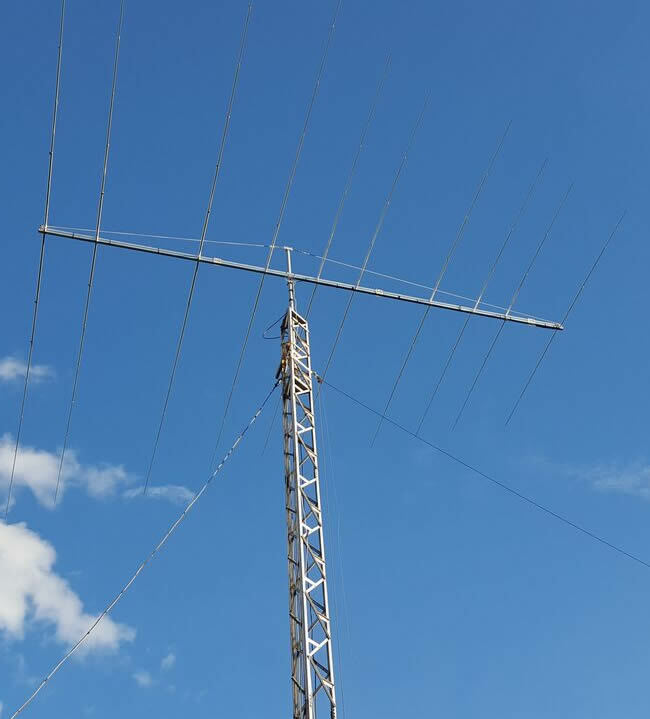 Our customers quote SWR figures not extending beyond 1.3:1 for any of the given ham bands. In addition, exceptional level of Forward Gain and Front to Back ratio (F/B) are seen due to the way in which the BOLPA-10 is designed. WHY DOES THE BOLPA-10 WORK SO WELL? Log Periodic Arrays are generally produced by means of a calculator rather than being band specifically optimised and therefore, performance and SWR curves vary greatly through their range and optimimum performance is hit and miss as a result. 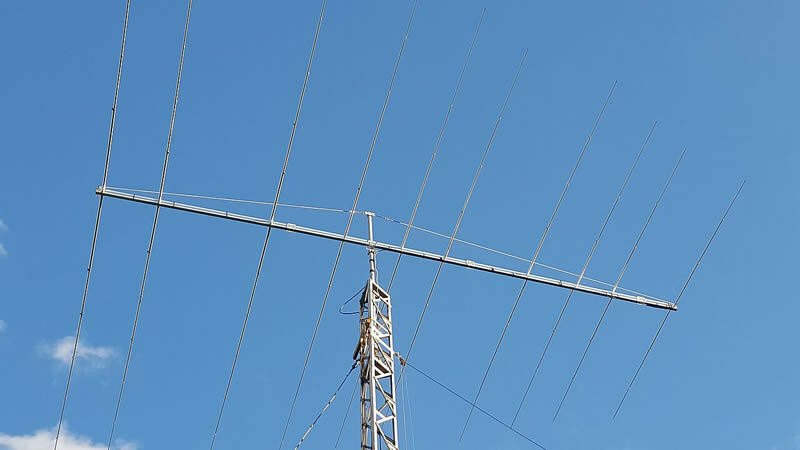 The InnovAntennas BOLPA-10 has had hundreds of hours spent optimising both SWR and Performance within the Ham Radio designated band sections which has resulted in exceptional mono-band style performance. 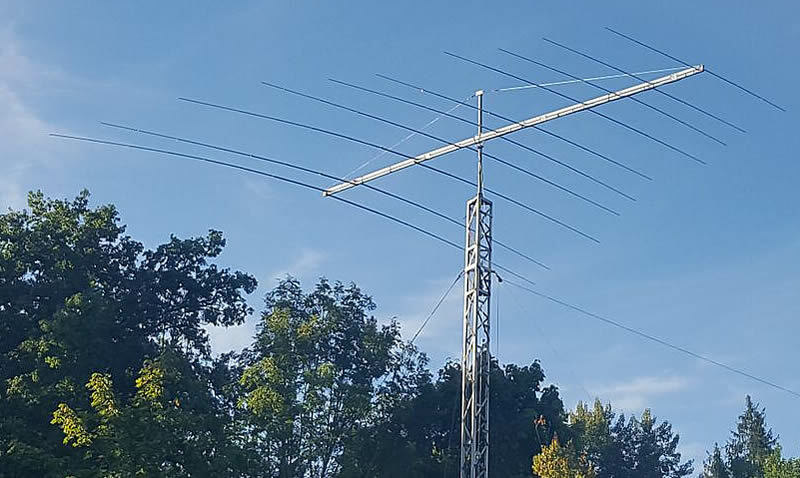 SDR READY ANTENNA, 6 BAND SIMULTANEOUS PERFORMANCE! The BOLPA-10 has all-bands-active at anyone time so will compliment the most sophisitcated SDR Tranceivers, with up to 6 slices on 6 different bands (20m, 17m, 15m, 12m, 11m, 10m) all at the sam time. With the right equipment, you can even transmit on one of these bands while listening on the other 5 bands at the same time! If you are looking for the best of the best from both a performance and mechanical construction perspective then look no further, you have come to the right place! 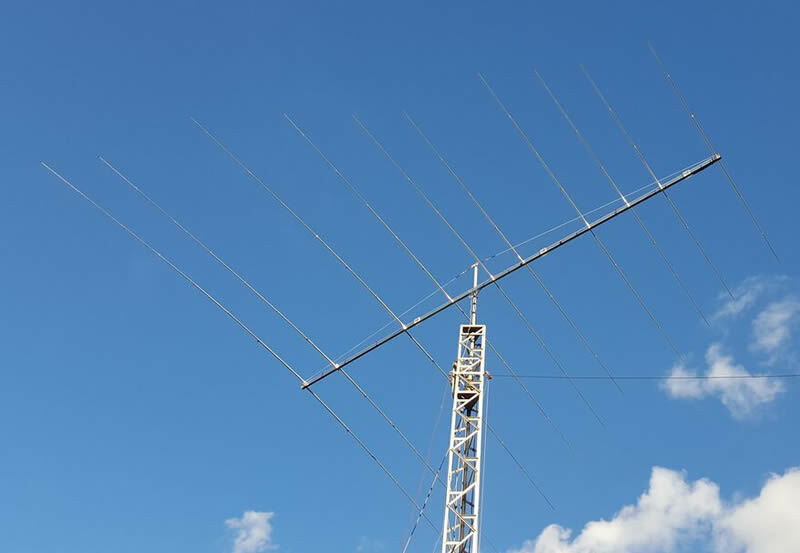 This antenna has all elements made from 1.25 inch aluminium thick wall tube (largest element) tapering down to 3/8''. The boom is 1.5'' inch square (32mm) which is in 3 sections. two sections of boom form the feedline and antenna element support, the third section provides a boom support truss. If you want an antenna to last and perform in all weathers without SWR or bandwidth shifting, this is it.